Check your Junk mail to make sure the email didn't end up in the wrong box. If a spam filter or email rule moved the email, it might be in the Spam, Junk, Trash, Deleted Items, or Archive folder. Still not finding the email? 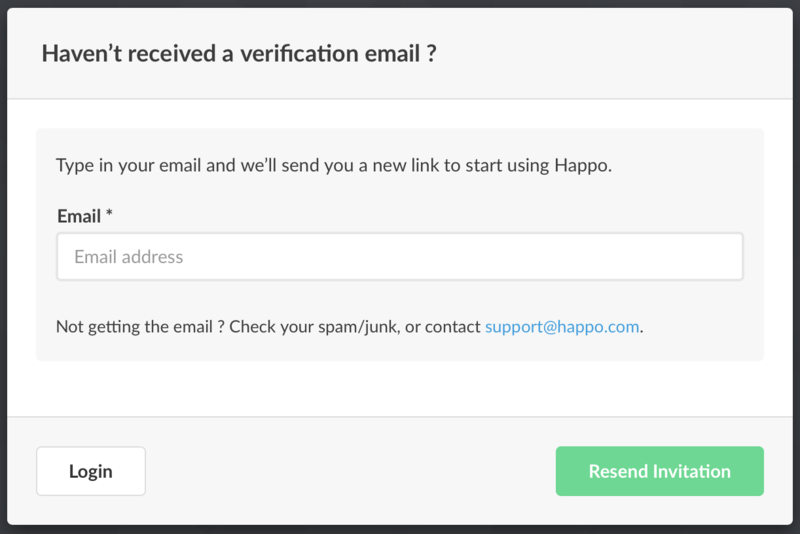 Go to https://app.happo.com/verify-registration and enter your email again to receive a new verification email.